Steel Town Properties is a full service rental and renovation business. 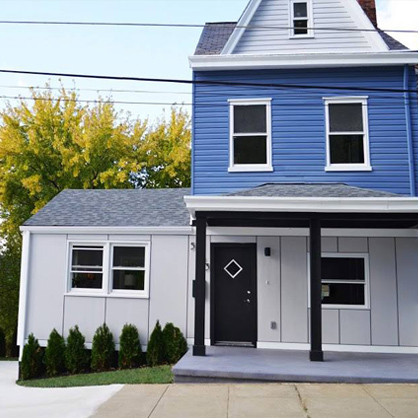 We specialize in high end flips in neighborhoods like Lawrenceville and Highland Park, quality renovations for first time home buyers, and luxury rentals in the South Side, Allentown, and Mt Washington neighborhoods. We meticulously cover every detail in flips and rentals and care for each as if every single one is our own – because they are! We renovate and manage only properties we have ownership in so you know we are the decision makers and ultimately the ones who want to see our quality work persevere through the test of time. If you are looking for a rental, try us out -- a landlord who actually owns their own properties -- and see the difference in service yourselves! If you are looking to buy a fresh, new renovation – look no further! Don’t go through the hassle of multiple points of contact to buy, hire and manage a renovation; go with us for the one-stop shop! At Steel Town Properties, you can expect the best customer service. If you have a question, comment or concern, we’re here to address it. We take pride in our ability to stay flexible and reliable with our clients and tenants! We treat all of our clients and tenants as individuals and look forward to helping you with your property needs. Get your name on our mailing and wait list to have first dibs on the best of the best! Our wait list fills fast! Whether you’re looking to buy a home or sell a property, we can do both. Every member of the STP team is a licensed agent, fully equipped to negotiate, purchase, and sell. We take pride in our ability to represent our clients and handle their property needs. Looking for a luxury rental you are proud and excited to call your home? Then look no further. At Steel Town Properties, we offer over 100 rentals that make renting in style and comfort a reality. Has the time come to renovate your home? We’ll do it for you, from start to finish, or on a consultation basis. Whether you want to return your home to its former glory or give it a complete makeover, Steel Town Properties works with you every step of the way.